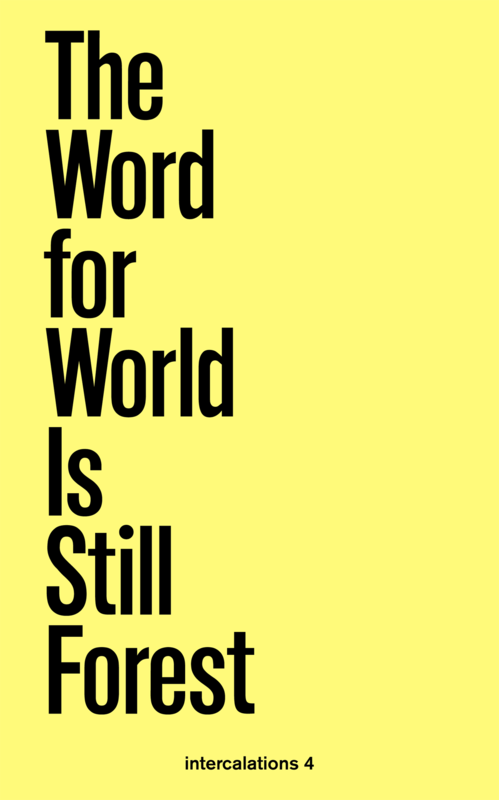 “Taking its title from Ursula K. Le Guin’s 1972 novella, The Word for World Is Still Forest curates an homage to the forest as a turbulent, interconnected, multinature. Moving from concepts of the forest as a thinking organism to the linear monocultural plantations that now threaten the life of global forests, the volume includes an interview with anthropologist Eduardo Kohn on perspectival multinatural semiotics based on his observations in Ecuador as well as a piece by Canadian forest ecologist Suzanne Simard, with visualizations by Kevin Beiler, examining how fungi networks uptake nutrients of salmon brought from sea to river to land by grizzlies and wolves. Curator Dan Handel presents an excerpted exhibition on “wood” as a vital element of forest mythology and the driver of industrial resource management. Media designer and data curator Yanni A. Loukissas adds a series of reflections on botanical data from Harvard University’s Arnold Arboretum. With contributions by Sandra Bartoli, Shannon Lee Castleman, Dan Handel, Katie Holten, Eduardo Kohn, Ursula K. Le Guin, Silvan Linden, Yanni A. Loukissas, Abel Rodríguez, Suzanne Simard & Kevin Beiler, Paulo Tavares, and others. “Some years ago, David Freedberg opened a dusty cupboard at Windsor Castle and discovered hundreds of vividly colored, masterfully precise drawings of all sorts of plants and animals from the Old and New Worlds. 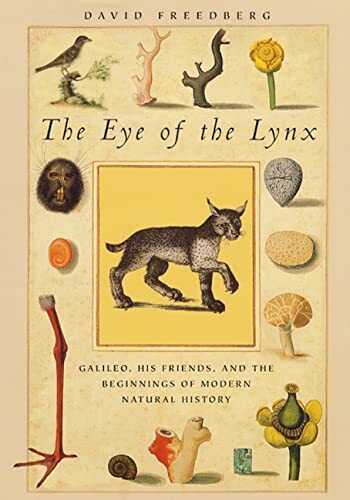 Coming upon thousands more drawings like them across Europe, Freedberg finally traced them all back to a little-known scientific organization from seventeenth-century Italy called the Academy of Linceans (or Lynxes). Founded by Prince Federico Cesi in 1603, the Linceans took as their task nothing less than the documentation and classification of all of nature in pictorial form. In this first book-length study of the Linceans to appear in English, Freedberg focuses especially on their unprecedented use of drawings based on microscopic observation and other new techniques of visualization. 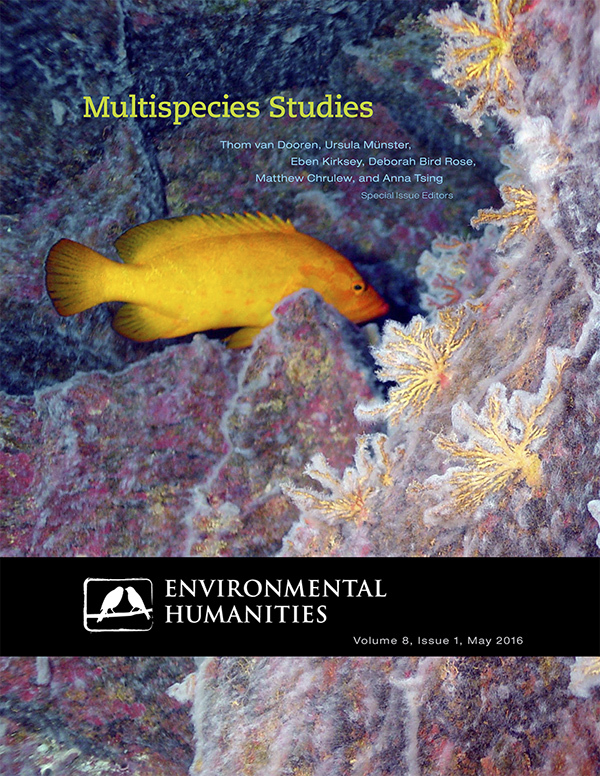 Where previous thinkers had classified objects based mainly on similarities of external appearance, the Linceans instead turned increasingly to sectioning, dissection, and observation of internal structures. They applied their new research techniques to an incredible variety of subjects, from the objects in the heavens studied by their most famous (and infamous) member Galileo Galilei—whom they supported at the most critical moments of his career—to the flora and fauna of Mexico, bees, fossils, and the reproduction of plants and fungi. But by demonstrating the inadequacy of surface structures for ordering the world, the Linceans unwittingly planted the seeds for the demise of their own favorite method—visual description-as a mode of scientific classification.